Raspberry, Blueberry and Banana Breakfast Smoothie Pancakes! I kind of made these up with things I had milling about the fridge this morning, and they worked out so so well! They’re a lot lighter than normal American pancakes, which I can’t usually eat because they make me feel terrible! But these bad boys are something else! 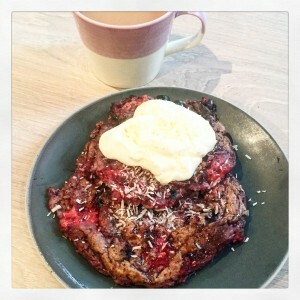 Blueberry, raspberry and banana smoothie pancakes for brunch this morning! Not very photogenic because they're much gooier than normal American ones... No way near as heavy too!! Whiz it all ingredients and half the berries together in a blender (I used my NutriBullet). Melt some coconut oil in a non stick pan and pour out enough to make one pancake. Decorate with a few berries on top while cooking. Cook until solid (this takes quite a while, I prefer mine still quite gooey in the middle) and serve! Hello! I’ve been following your blog for a long time now and finally got the courage to go ahead and give you a shout out from New Caney Texas! Just wanted to mention keep up the excellent job! Thanks so much, really appreciate your support. I just want to tell you that I am just newbie to blogging and site-building and seriously liked this page. More than likely I’m likely to bookmark your blog post . You definitely have outstanding article content. Bless you for sharing your web page. I believe this is amongst the this sort of lot significant info for me personally. Pretty nice post. I recently discovered your weblog and wished to express that We have really enjoyed surfing around your site posts. simply excellent and i can think you are knowledgeable on this subject. Well along with your permission allow me to clutch your RSS feed to keep up to date with imminent post. I believe this web site contains some real fantastic information for everyone :D. “Morality, like art, means a drawing a line someplace.” by Oscar Wilde. Our company is a team of volunteers and starting a fresh scheme inside our community. After looking at a handful of the articles in your internet site, I truly appreciate your technique of writing your blog. I use the wordpress plug in and a pre-designed theme to lay out my website! I’m a bit of a website building novice, so I found this the easiest way to go about it, and I’m learning a bit more every day as I go along! I got my theme from: https://support.pipdig.co/ – but there’s loads readily available for free on wordpress. the same layout and design. Great selection of colors! Howdy! Quick question that’s entirely off topic. Have you figured out how to make your website mobile friendly? or plugin that could possibly fix this issue. If you have any recommendations, please share. The theme i use is already compatible with mobiles, so I haven’t actually done anything to it. I got my theme from: https://support.pipdig.co/ – they all come ready for mobile use. Most themes do these days, so I’ll be surprised if you can’t find one you like. I simply want to tell you that I’m beginner to blogging and site-building and certainly enjoyed this website. Probably I’m planning to bookmark your blog . You surely have awesome articles. Thanks a lot for sharing your blog. I do find it quite difficult to post on the website alongside my full time job (unfortunately nothing related to food). 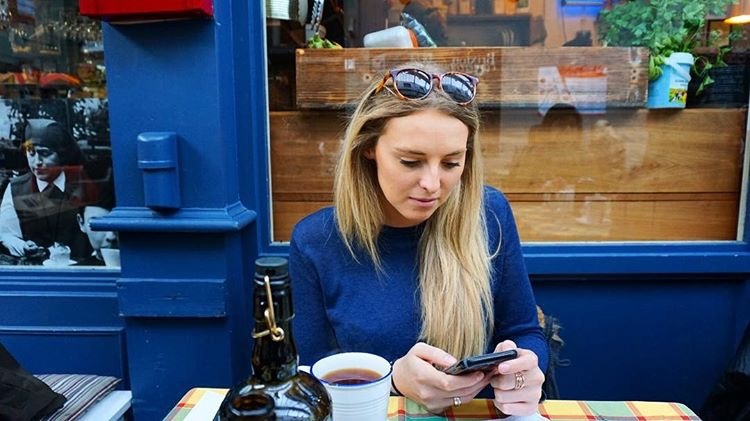 I use instagram mainly, as this is the easiest way to document what I’m eating in real time – I then save some meals and upload recipes at the weekend! Keep going, I’ve found blogging a really rewarding process (and also very handy for remembering what I’ve made!! ).